Do films flatter Wall Street? From what we see of Wall Street in the movies, one would expect it to be a place overrun with workaholic men and women one Starbucks queue away from a complete mental breakdown, red-faced stock traders screaming into their cellphones, and young go-getters selling their soul for equity. The first question a lot of film lovers would want to ask a Wall Street professional is probably whether or not there’s as much crime and deception in Wall Street as Hollywood led us to believe. The kind of exciting (but also terrifying) answer to that is that there might be. Reports and accusations are pretty much always flying through Wall Street, but little comes of them. Wall Street elites dodge jail time and official charges like Neo dodges bullets. But, when something does come of these accusations, the investigations have been known to uncover criminal operations working on an unfathomable scale. Ever heard of Bernie Madoff? This Wall Street investment advisor pulled off the largest Ponzi scheme in American history that managed to con around $65 billion out of investors. 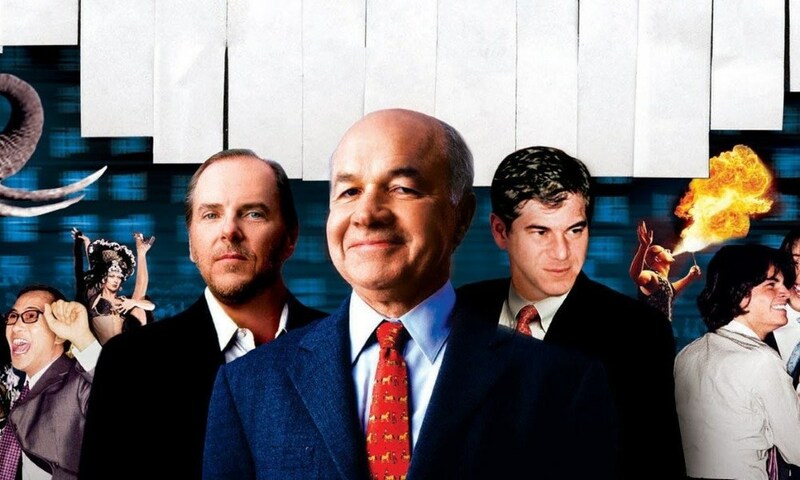 Then, of course, everyone knows what happen to Enron, and if you don’t then you need to watch Alex Gibney’s Enron: The Smartest Guys in the Room just to understand how bananas that operation was. Apart from the big operations, there are also small-scale financial crimes going on all the time in Wall Street, but very few criminals are actually suffering the consequences. As for why that is, it can either be blamed on the charges coming too late to have strong enough evidence, or some mysterious circumstances where the case is simply dropped. Maybe Wall Street is a little bit like it is in the films. After all, a lot of Wall Street films are based on real life events. As for the rest of Wall Street, it’s pretty safe to say that that you’ll find less cocaine and murder and a lot more photocopy paper and breakfast meetings. When you work in the very heart of global finance there are probably slightly more important things to think about, like tax exemption. In the biggest companies, work is constantly high pressure. We might think that investment bankers are rolling in paper, but for most of them the reality is just slightly less space in your wallet than the average person. In a mid-position you would earn good money, but not ‘VIP clubs, limos and escorts’ kind of money. You won’t be able to afford a private jet but you might be able to buy a nice vacation once in awhile (good luck getting away from the 70+ hour working weeks). Wall Street is cool in theory, but unless you’re passionate about paperwork, banking and hard work it’s probably not the place for you. You’d be much happier looking at professional offices to rent in your country instead of moving into Wall Street. Wall Street’s great and all, but there’s a lot more out there.